Where the heck did October go?! This has been the quickest month ever and November is set to go even faster! 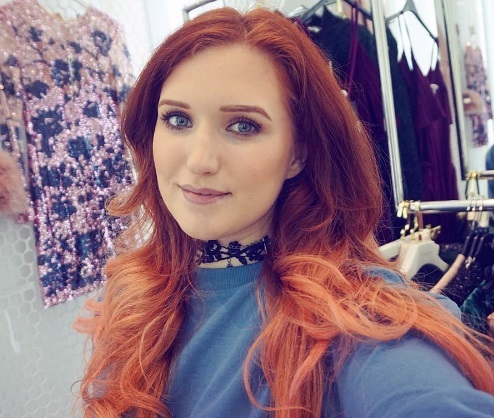 Going from being a student to working full time is drastically different, and blogging and shopping has a totally different purpose. When I was a student I bought things that I only could end up wearing to a few lectures a week and now at work I can get wear out of 5 cool outfits a week - but then again, only the people at the office see! As a student, the weekends dragged out and every evening was free unless it was party time, but now I'm living for the weekend! Every week night flies by. It's different! However, now I'm living as 'myself' rather than being a 'student' so I've started to wear exactly whatever I fancy again and have a bit more freedom to do nice things on days off! Anyway, here's how my October goals went... it ain't good! 1. Cook a large variety of things - Hmmm I didn't end up cooking much in October but I ate at home more and took my lunch to work most days! 2. Blog more! - I hardly had chance to blog at all! 3. Make more effort with outfits and buy key things - I'm well into the swing of autumn and am really happy with the things I bought this month! Ankle boots, jumpers and leather skirts. 4. Sort my hair out - I didn't get my keratin treatment done yet as I've got the Charles Worthington 40 Day Straight treatment on right now! I'll keep you posted how it goes. 5. Use my days off! - I had some looovely days off and Katy Perry was AMAZING! 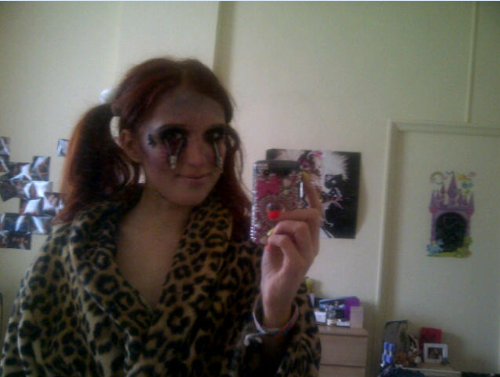 And I took part in the Bristol Zombie Walk haha! Thousands of people took to the city centre chanting 'braaaains' much to the confusion of shoppers! I was embarrassed but went for the laugh; I love dressing up! 1. Actually cook! - Today I did the first marginally big food shop since I've moved to Bristol! Seriously! I've just been getting bits and bobs since I moved as I didn't want to buy loads and waste it, but it always left me short and eating out. I'll definitely cook more this month, promise! 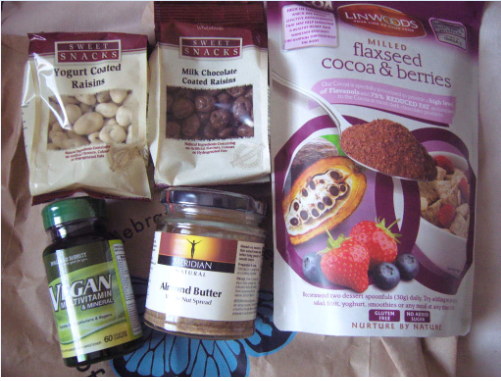 I got these goodies from Holland and Barrett yesterday too. 2. Blog more - definitely! 3. De-stress - How do you de-stress and wind down? I spend all day on a computer so spending alllll night on the laptop isn't what it used to be! I'm going to Zumba at the gym every week and might start reading again. I still like young fiction about teenage girls - do you have any recommendations maybe? I haven't found an adult chic lit book that I like! Going out to eat and the cinema is also a nice night away from home but it's a bit on the expensive side. 4. Buy no clothes/makeup - On a bit of a spending ban at the moment to try and shift some student debt - no clothes! No makeup! Maybe a few little H&M things here and there but nooo big purchases! Also I just got tickets to see The Saturdays in Cardiff for a night out with my sister woop! That will be my big purchase of this month. 5. Eat breakfast! Every day.